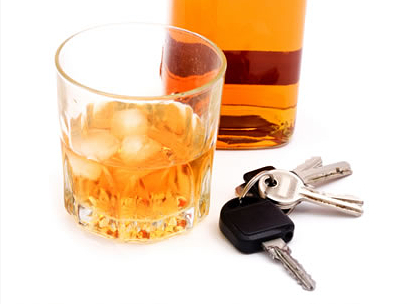 If you have been arrested for DUI in the Charleston, SC area, our DUI Lawyers can help. DUI is one of the most frequently charged offenses in Charleston, North Charleston, Sumerville, Goose Creek and the surrounding areas. South Carolina DUI laws carry stiff penalties, even for a first-time offense. If you have been charged DUI in Charleston, SC or the surrounding area, give our attorneys a call today. Our Charleston DUI lawyers will fight to defend your DUI charge and work to get your driver's license reinstated as soon as possible. When you call our office you will speak directly with a DUI attorney about your arrest. We pride ourselves in giving all of our clients the prompt, personal service they deserve. After all, fighting your Charleston area DUI charge is one of your top priorities, and our attorneys will make it one of theirs as well. Your consultation with our Charleston, SC DUI lawyers is confidential and free of charge. Your Case: You will speak directly with an DUI Attorney about your arrest. Our conversation will be kept confidential. Your Rights: Our DUI attorneys will explain what you face if convicted of DUI and what they can do for you. The Evidence: If you decide to retain our Charleston, SC DUI lawyers to represent you, we will start to gather the evidence we need to fight your DUI charge right away. Your License: If your license was suspended, our DUI attorneys will start the process of getting it back before you leave the office. Remember, you have a limited amount of time to request a special South Carolina license that allows you to drive pending the outcome of your DUI. Call our Charleston DUI attorneys today so that they can help get you driving again. Remember, your consultation with our Charleston, SC DUI lawyers is free of charge. If you have been charged with DUI in the Charleston, SC area, call today and speak directly with the Charleston DUI attorneys at Anderson & Schuster, LLC. Contact Us Now. Our Charleston, SC DUI attorneys have provided answers to several frequent Questions about DUI, and we encourage you to read them. Remember, each DUI case is different, so to get the most accurate information regarding your situation please contact our Charleston DUI lawyers today.